One of our favorite locations in all of Ashtabula County has been one the two of us have been going to for our entire lives. A very popular location for tourists all across the country, Eddie’s Grill has been reeling in the tourist traffic for many years. What started back in the year 1950 by Eddie Sezon as just a stand down at Geneva-on-the-Lake, Eddie’s Grill now stands clearly above all other choices at this favorite vacation spot. Growing up in Geneva, going to Eddie’s during the summer months was always second nature. Even now in our “older” years, going down to Eddie’s is still fun as ever. With a simple menu, you are sure to find something that you like. 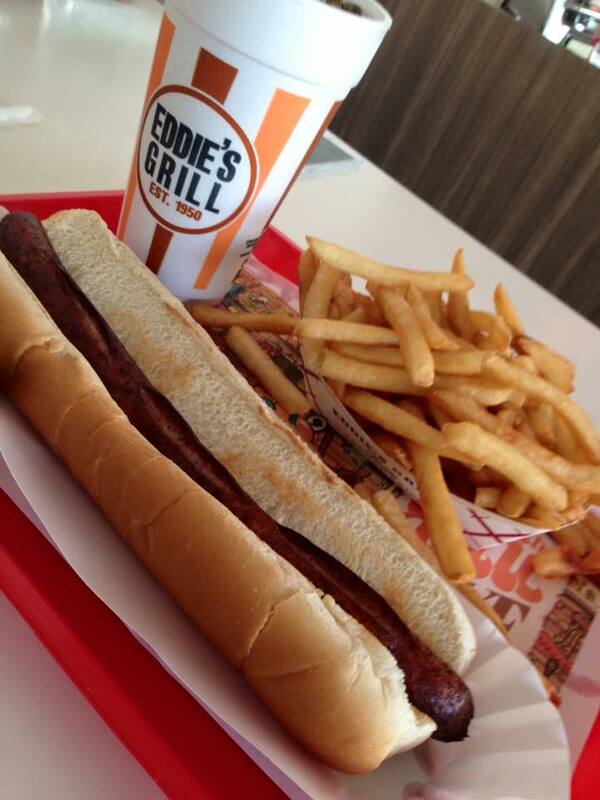 My favorite at Eddie’s is the foot long hot dog. The hot dogs are actually deep fried, not grilled, which gives the hot dog somewhat of a different taste than just grilling the dog. Obviously partnered up with the hot dog would be an order of french fries, and an amazing root beer to wash it all down. Something about going to Eddie’s is more than just the food. For most of us from Ashtabula County, we know that we are sitting in a diner that is very historic to the area. Chances are if you go around the city of Geneva and ask what their favorite place for food was, chances are they would tell you Eddie’s Grill. Still ran the same was as it has for many years, make sure you stop down to Eddie’s Grill very soon, because Labor Day Weekend will be the final weekend Eddie’s is open (and also Thunder on the Strip)!